Kids these days try out all sorts of crazy-ambitious, outside-the-box summer plans, which is good, because abstinence is the only real contraceptive. Just kidding, those kids are herbs. For summer ambition that'll feed you, seek out Fry Captain. A black, crossed-saber graphix'd french fry 'n' milkshake mobile, the Captain's helmed by a DC-bred, current Vanderbilt junior whose project last summer was a roving ice cream-van, and whose ambitious dessertrepreneurship's sure to make him the most popular brother at AE-Pie this semester. Insistent that their potato-sticks aren't "just a side item", they're serving up hand-cut fries customizable by size (single or double), seasoning (sea salt, garlic salt, onion salt), and seven intriguing dipping sauces like garlic aioli, chili ketchup, sweet & sour mustard, and curry mayo -- though no Tim Curry mayo, as that only goes well on Frank-N-Furters. After moving past the salty stuff, satisfy your sweet tooth via a slew of awesomely unusual milkshakes like pistachio, avocado, coffee hazelnut, sea salt & olive oil ("Try it. Seriously. "), and honey lavender, the most delicious Bed Bath & Beyond-inspired foodstuff since sheetballs. 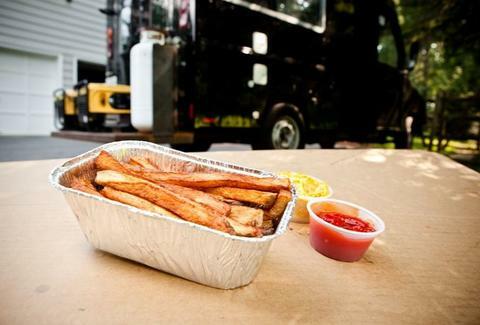 The Captain's rounding up a second fryer to pump out duck-fat versions of their fries, and he's also been kind enough to offer one lucky Thrillist reader free fries for up to 20 officemates, handy for any kids trying the craziest of all summer plans: working.